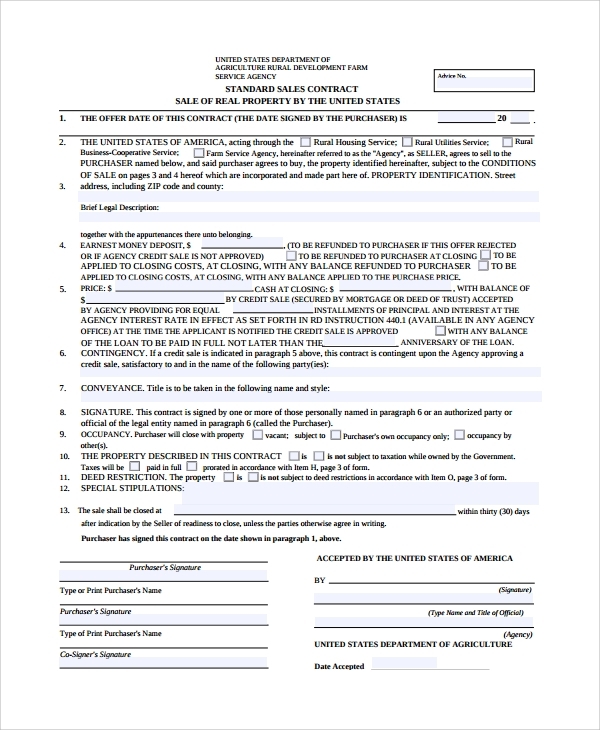 The sales contract samples you get online are a big help for both property buyers and sellers in making various forms of contracts. The main points of confusion while you make a contract are the choice of language, the perfect legal style which should get accepted globally, the right condition etc to protect right of both parties etc. 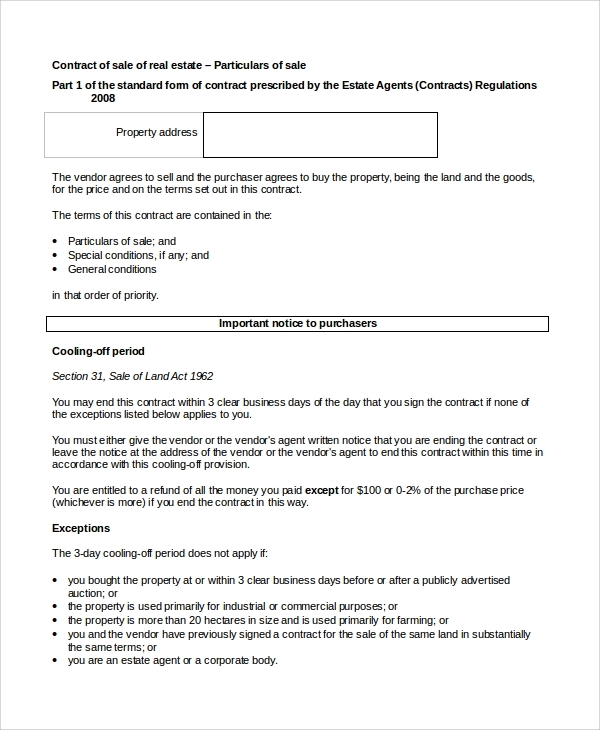 If you are working with samples you can be sure that you will get a right legal contract format for the property deal. 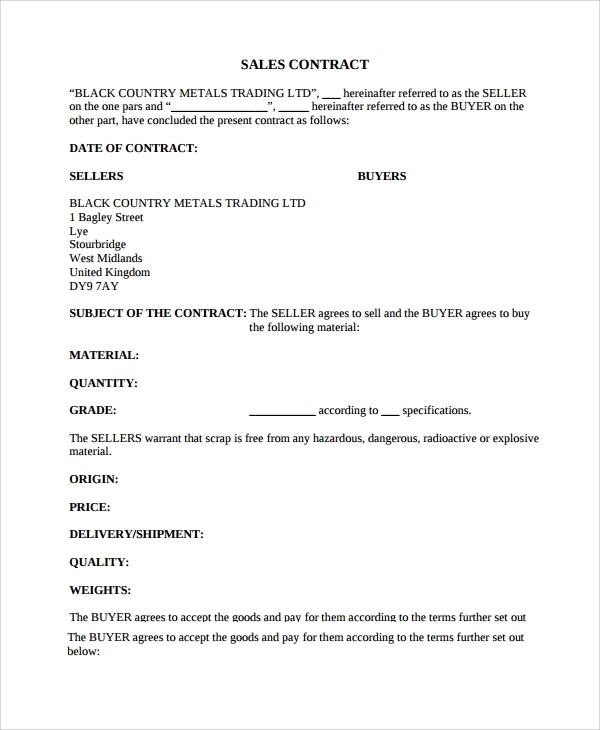 You can also see Industry Contract Templates. 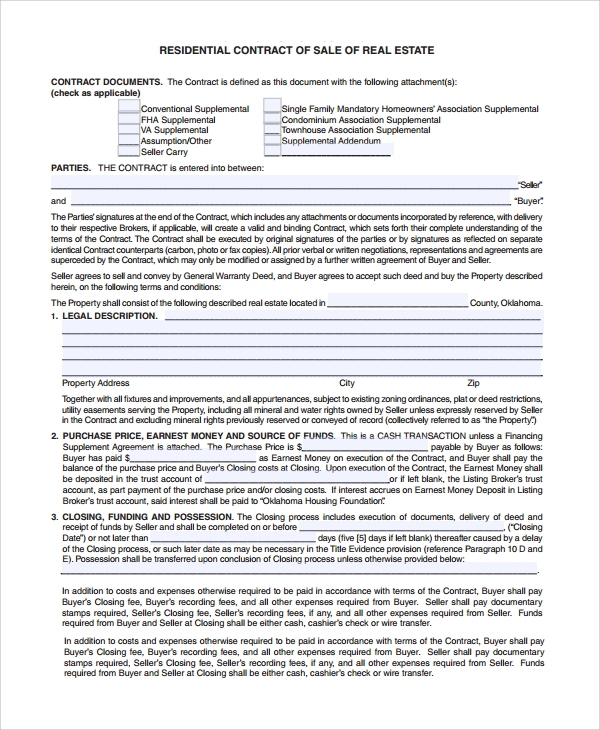 The real estate sales contract is all about making a real estate sale legalized. 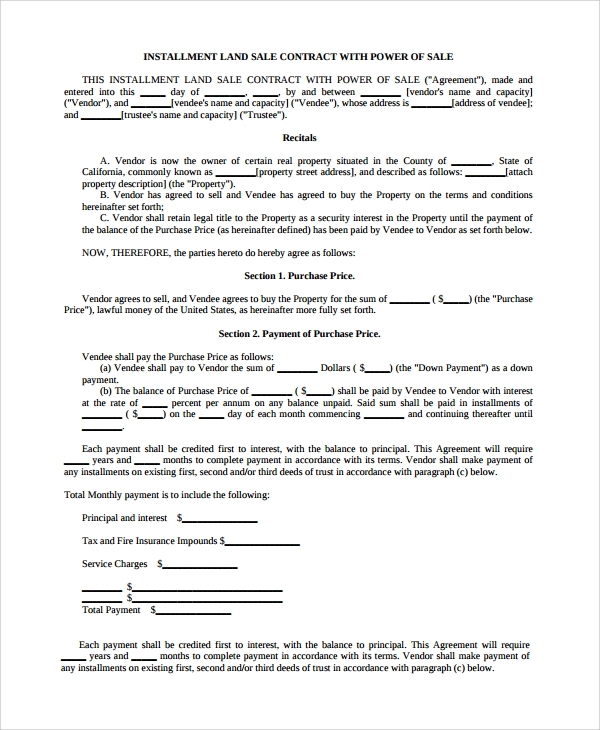 The contract or agreement format will tell you the layout and the choice of language and the ideal clause etc, which must be included to make a safe contract in favor of both buyer and seller. Selling or buying of a land can be one of the most controversial things in future if not legalized with documents enough. Hence the use of land sales contracts is highly recommended. 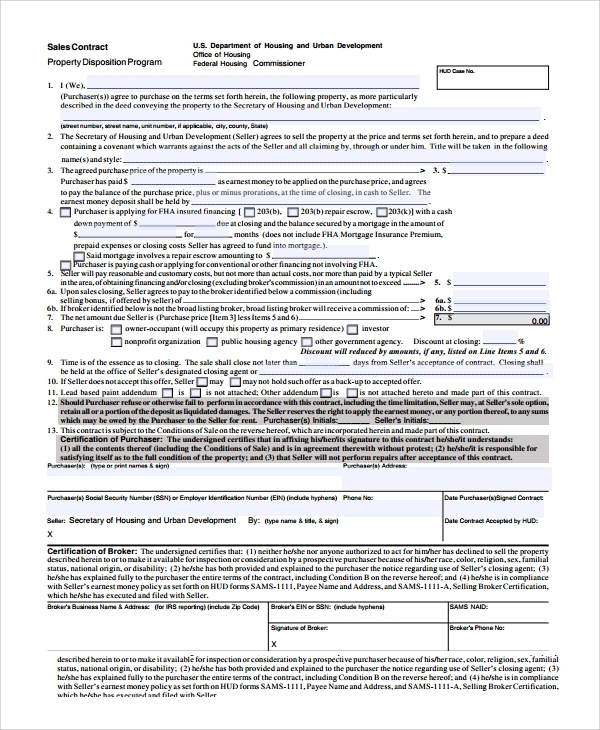 Get this template free to use and refer to the best legal format for making this. 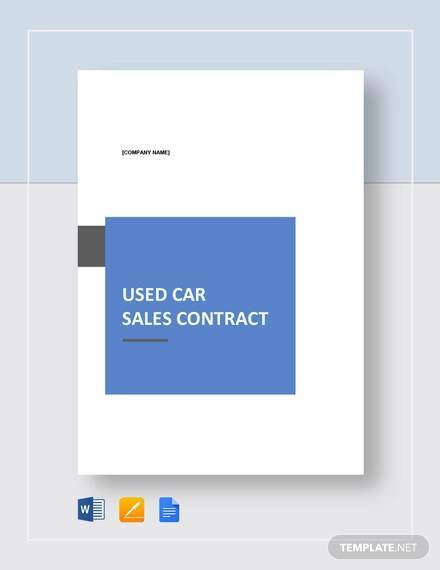 A vehicle sales contract sample is to tell you how the ideal vehicle sales papers has to be made, what the terms and conditions should be to protect the rights of the buyer and seller, and hence how the vehicle sales has to be legalized. 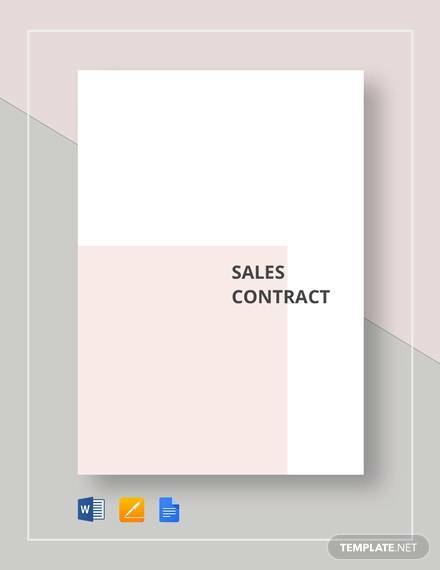 Why Use the Sales Contract Samples? 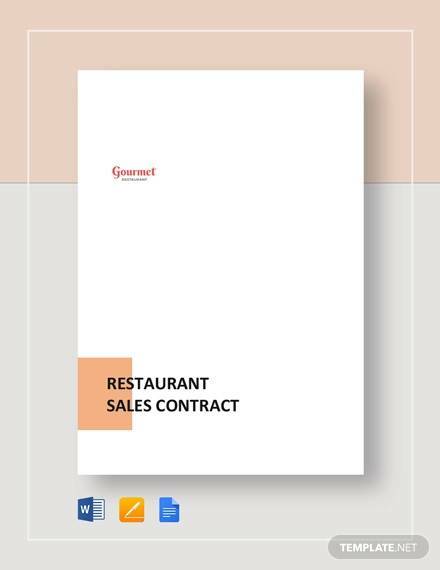 The use of purchase and sale agreement samples is simply to give you a direction into the making of a sales contract. Now there can be so many types of sales. Many sales are originated at a showroom, or real estate firm, and many sales are private, and only the buyer and seller have a private settlement. 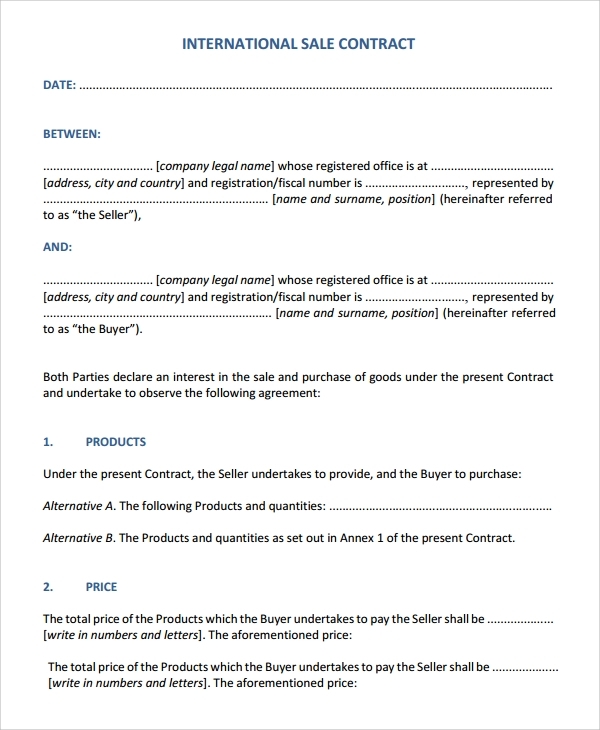 Therefore you will have to be sure that you gain a nice idea of the ideal sales agreement sample both in the generic and specific form, so that when you are presented with one by the seller, you may detect if all clause are proper or not, and if your rights are protected or not. 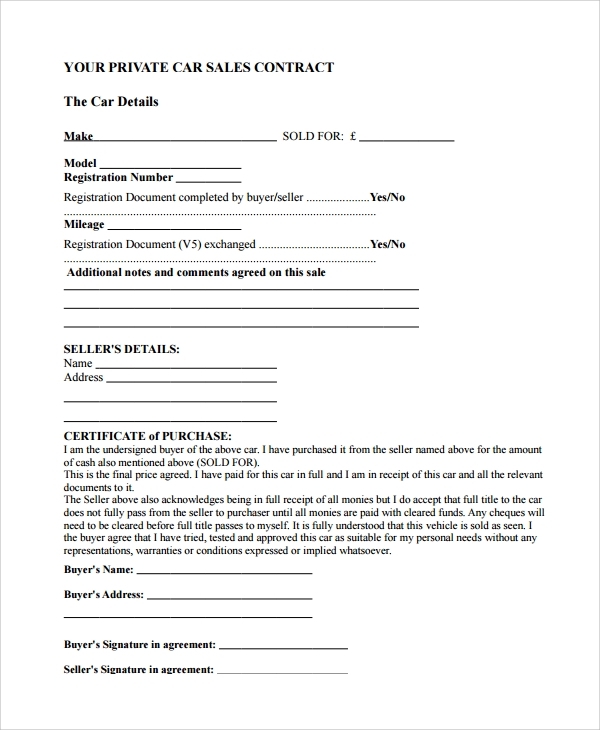 Again as the seller you may make a sales contract on your own by referring to the samples and customizing those. 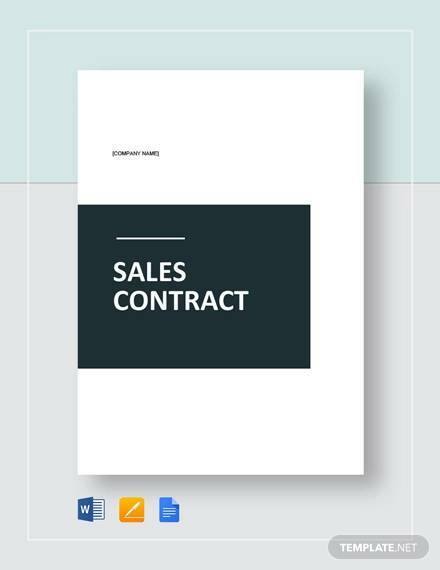 What are the Benefits of Using Sales Contract Samples? 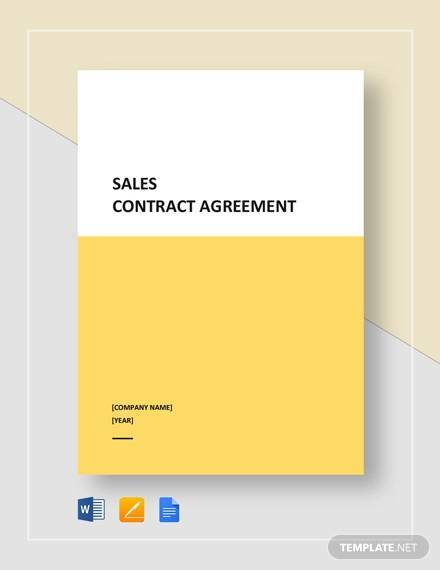 How to Use the Sales Contract Samples?